The strike launched by the postal workers ended yesterday night following discussions between members of the Joint Postal Trade Unions Front,Post Master General and the Postal Services Ministry Secretary. 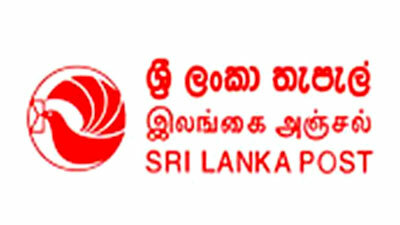 The Joint Postal Trade Unions Front Co-Convenor Chinthaka Bandara said the unions had decided to end the strike as authorities had responded positively to the demands put forward by the Trade Unions Front. “We have already communicated our decision to JPTUF membership islandwide and postal services will re-commence from 6 am today” he added.. However, Bandara said the unions may resort to trade union action again after two weeks if authorities fail to uphold their promises. The strike launched by postal workers dragged on for three days and crippled postal services islandwide whilst severely inconveniencing the public. The strike action by the Joint Postal Trade Unions Front with the support of several other postal trade unions is based on three main demands. Workers are demanding to halt the redevelopment plan to convert the Nuwara-Eeliya, Kandy and Galle Fort Post Offices to profit making ventures and they also seek solutions to administrative issues faced by the staff due to a circular issued in 2006.